Forza Horizon 3 is a constantly expanding game, with the addition of new cars or small tweaks, but recently a new expansion was released. 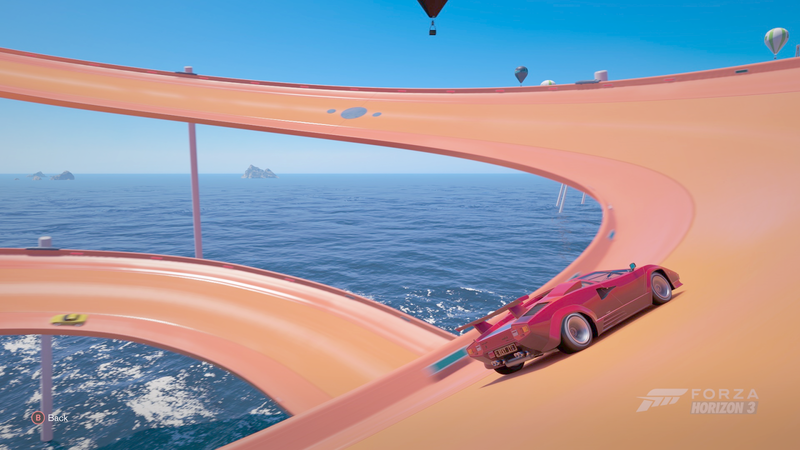 The Hot Wheels expansion adds an archipelago covered in the iconic orange track that makes people think of Hot Wheels. The new expansion also adds new races and four legendary die-cast toys brought to life. The Bone Shaker, the Twin Mills, the heavily modified Ford Mustang, and the Rip Rod. As you race, you gain new races for higher classes. The first race, for example, is B Class, and the final races are S1 or S2 Class. One of the many high jumps in the looping track. 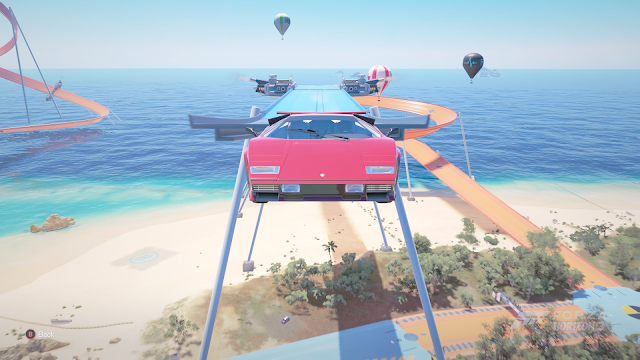 In addition to doing stunts in races, you can roam around the track, in free roam, with any car you want. You could use your Lamborghini Huracan, or go ahead and use your Ford Falcon. The new expansion adds much more freedom to the tracks than before. In the normal map, the coolest thing you could do was go off a ramp at 200 mph. Now, you can do the same 400 feet up, through a ring of fire, and with giant dinosaurs in the background. The new expansion adds so much to do, so many new places. I highly recommend buying it. I think it was well worth it.